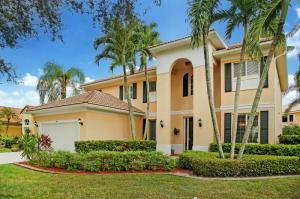 240 Bluejay Lane Jupiter, Fl 33458 has been sold. MOVE-IN READY FAMILY HOME SITS ON LARGE CORNER LOT. MODERN, OPEN KITCHEN LOOKS OVER LIVING AREA WITH CUSTOM BUILT-INS. GUEST BEDROOM WITH REMODELED MARBLE/FULL CABANA BATH, PLUS BONUS MULTI-PURPOSE/PLAYROOM DOWNSTAIRS. FOUR MORE BEDROOMS UPSTAIRS, PLUS AN OFFICE, FEATURING LUXURIOUS 24X14 MASTER WITH PRIVATE SITTING AREA. TONS OF UPGRADES THROUGHOUT. RENOVATED BATHROOMS, NEW AC UNITS, PLANTATION SHUTTERS, CUSTOM WOOD FLOORING, CROWN MOLDING AND CUSTOM WOODWORK THROUGHOUT. FULLY FENCED IN, PRIVATE BACK YARD WITH POOL AND DECK WITH NEW PAVERS. 240 Bluejay Lane located in Jupiter, FL is a single family home with 5 bedrooms, 3 full baths and 0 half baths.The Home at 240 Bluejay Lane was built in 1998 in Egret Landing and offers a 2 car garage. This Egret Landing Home offers pool, tennis, clubhouse, basketball, exercise room, sidewalk. 240 Bluejay Lane Jupiter, Fl is currently listed for $640,000 under the MLS# RX-10482942. This Home has been put on the Jupiter MLS system and currently has a status of SLD.